House of Salgado brings a long tradition of custom tailoring from the famed suit fabric mills of Sabadell, near Barcelona, to the streets of Toronto. In 1960, Antonio Salgado opened his custom clothier in Canada upon his arrival from Spain. 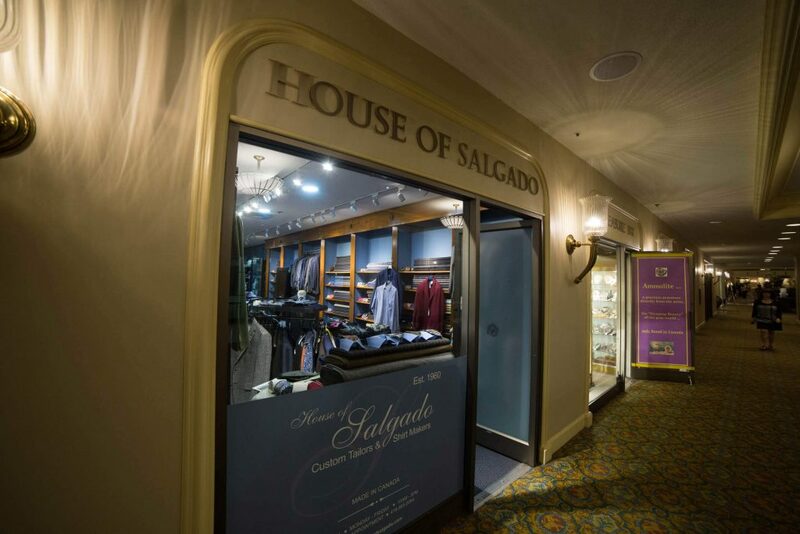 House of Salgado has since thrived to become Toronto’s most sophisticated custom clothier for both men and women. Their speciality is finely-fitted suits, shirts, topcoats and formal wear that fit each customers’ exact specifications. Accessories such as vests and ties, as well as a small collection of ready-to-wear suits are also on offer. Their custom garments are full-canvas, hand-cut and hand-sewn suits in the European tradition. Using only the finest Italian cloth, House of Salgado employs traditional British or Italian styles to craft suits and shirts that are uniquely fitted to the buyer’s form. The fabrics, imported from 17 of the best mills in Italy (including Loro Piana, Zegna, and Red) offer a wide range of colour, weight, feel and price. Clients of House of Salgado experience service that is both convenient and entirely personalized from the consultation, to measurement, through two try-ons at different phases in the garment’s creation to ensure the perfect fit. The process usually takes between four or five weeks, depending on where the fabric must be imported from. 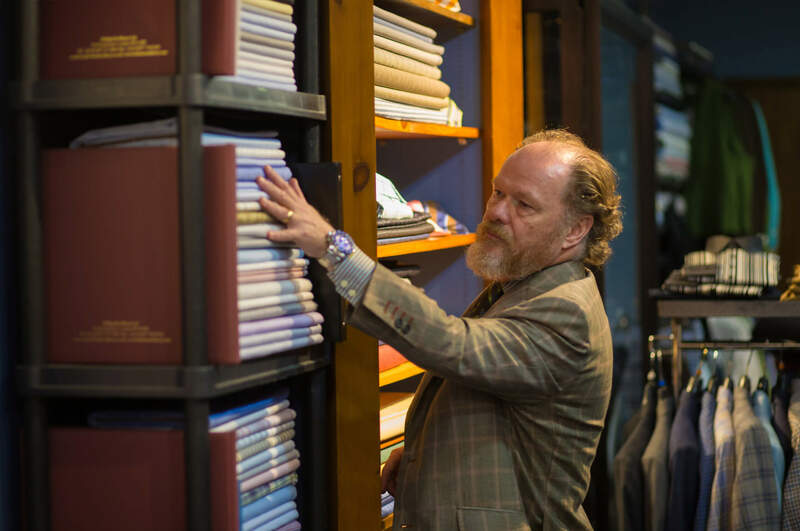 Throughout the years styles have changed, but House of Salgado’s commitment to quality workmanship and attention to detail has remained the same—offering unique touches like linings, stitching options, fabrics and fabric combinations, lapel widths, ticket pockets, and cuffs. Their products retain the classic elegance and sophistication—not to mention comfort – of a truly custom-made garment, which no off-the-rack retailer can ever match. The bustling location below the Royal York Hotel attracts a range of customers: hotel guests from across Canada and around the world; Bay Street professionals; film producers; and such distinguished visitors as Justin Trudeau and Prince Harry. 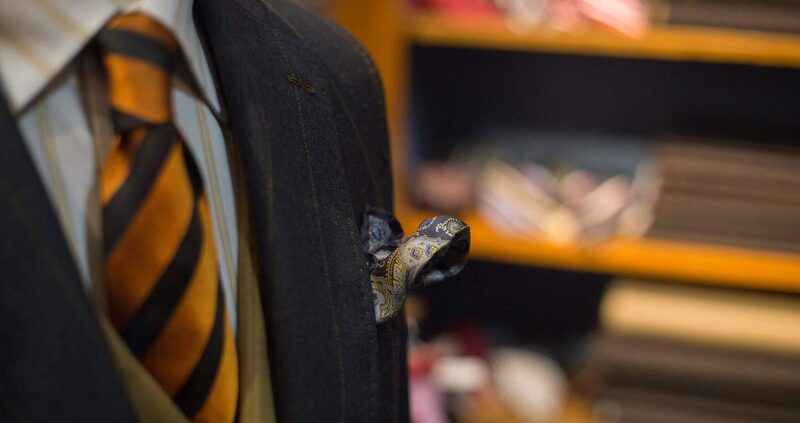 As one of the few remaining custom clothiers, House of Salgado strives to keep the dying art of suit-making alive. Their staff takes pride in their commitment to carefully hand-fitting each garment and offering European craftsmanship at affordable prices. For those who desire a sophisticated touch to their wardrobe, House of Salgado delivers beautiful hand-made products that reflect your personal style, while also enhancing your unique personal brand.